Lane holds a Bachelor’s degree in Psychology from the University of California at Santa Barbara and a Master’s degree in Marriage and Family Therapy from San Jose State University. She is a licensed Marriage and Family Therapist. Lane has over 35 years of experience in the behavioral health and child welfare fields—the last 24 at Devereux. Early in her career, Lane was in private practice and managed a Planned Parenthood clinic in northern California. Lane is the former president and current board member of the Arizona Council of Human Service Providers, a statewide trade association with over 90 member agencies. Lane is a partner in Arizona Partnership for Children (AZPAC). Founded in 1997, AZPAC is the longest- tenured formal collaboration of child welfare provider agencies in the state. She is a standing member of Devereux’s national ethics committee. In 2012, Lane was appointed to the National Advisory Council for the Human Rights Campaign’s All Children All Families Initiative. She joined the ONE Community Multicultural Advisory Board in 2016. Dr. Yvette Jackson, LMSW, DBH, serves as Devereux Arizona’s assistant executive director. She joined the organization in 1998 through a merger between Devereux and La Hacienda Foster Care Resource Center. In 2002, Yvette earned her master’s degree in Social Work from Arizona State University. In 2014, Yvette was recognized as a Weaver E. Falberg Leadership Fellow, one of Devereux’s most prestigious awards. 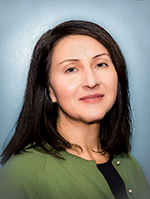 This fellowship afforded Yvette the opportunity to continue her professional development, with support from Devereux, and has since completed her doctoral degree in Behavioral Health from Arizona State University. During her tenure with Devereux Arizona, Yvette has held key, statewide leadership roles in both child welfare and behavioral health. In her current position, Yvette works directly with the organization’s statewide program directors and staff to manage the day-to-day operations of a broad continuum of services, ranging from prevention services to residential treatment. Yvette is a leader and key contributor to Devereux’s National LGBTQ Taskforce, which has increased the LGBTQ cultural competency of the organization across the country. In 2015, Yvette was recognized as a leader in LGBTQ healthcare by the LGBTQ Behavioral Health Coalition of Southern Arizona and the LGBTQ Consortium. Yvette has served on several nonprofit boards since 2003, including: chair of the finance committees for Planned Parenthood of Southern Arizona and the Tucson Centers for Women and Children (AKA Emerge). She also was on the executive committee of the Board of Directors for Wingspan, Tucson’s LGBTQ community center, from 2008—2011. Yvette is a national training consultant for the Human Rights Campaign’s “All Children All Families” initiative, and is a faculty associate at Arizona State University in the School of Social Work. Janelle is a Licensed Professional Counselor and Licensed Behavior Analyst in Arizona. She also holds a national certification as a Board Certified Behavior Analyst. She has worked as a therapist, clinical supervisor, and consultant for children and adolescents for 20+ years. She has worked with youth and families in multiple treatment settings including inpatient, residential, group homes and outpatient. 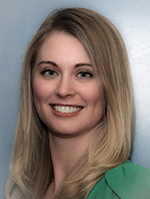 Currently, Janelle is Clinical Director for Devereux Arizona. She has extensive experience in training clinicians and educators in trauma informed care, positive behavior support, assessment and treatment planning, and best practice interventions in working with youth in foster care and residential treatment. During her tenure at Devereux, Janelle created and implemented a vigorous internship training program in various levels of care and treatment settings. Janelle also served as the statewide training director for 2 years, and was the chairperson for Devereux’s annual REACH behavioral health conference. Janelle has presented at both local and national conferences and is passionate about promoting emotional health and resiliency in children with behavioral health diagnoses. Donovan has over 15 years of Senior Business Finance and Operations leadership, with a career that includes banking, retail, higher education, technology and healthcare. His main expertise revolves around providing the strategy, development and execution necessary to scale business growth, maximize service delivery, optimize corporate profitability and enhance the bottom line. Donovan manages a broad spectrum of financial and other support for Devereux Arizona including, but not limited to, Finance, Facilities, IT/Telecommunications, and Transportation. He oversee facilities negotiations, evaluations of annual capital plans and potential acquisitions of property. Donovan works collaboratively with the Executive Director and Assistant Executive Director to create systems that allow State Operations Leadership to develop and deliver services and standards to meet the current and anticipated needs of key internal and external customers. 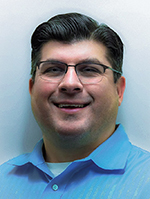 Donovan has degrees in Marketing and Finance with a Master’s in Business Administration and is a member of the Collaborative Family Healthcare Association (CFHA). Ron has worked for Devereux Arizona People Operations (Human Resources) department since 2002, and has over 20 years of progressive human resources experience in behavioral healthcare, manufacturing, and higher education. Ron’s experience center’s around People Operations strategy, advancing the organization’s mission through human resources, and delivering great customer service to all. As a member of the senior leadership team at Devereux Arizona, Ron’s goals are to make Devereux Arizona an Employer of Choice and continue to support the organization’s mission, vision, and values. Ron has a bachelor’s degree in business administration from the University of Arizona. He is certified through the Human Resources Certification Institute with a Professional in Human Resources (PHR). Additionally, he is certified through the Society of Human Resource Management as a Certified Professional (SHRM-CP). 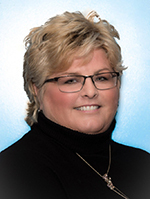 Jann has over 11 years of experience working in healthcare compliance and risk management, health administration and operations management within hospital systems and pediatric specialty programs. Jann has a Master’s degree in Health Sector Management with a concentration in Epidemiology and an undergraduate degree in Microbiology. She is Certified in Healthcare Compliance (CHC) and Project Management Professional (PMP) certification. As Director of Compliance and Risk Management, she partners with our programs across Devereux Arizona to work together to fulfill our mission of unlocking and nurturing human potential. Diane Crerand, MA Organizational Management, has more than 32 years of experience working in the behavioral health field, directing an array of individual and family programs benefiting kids and families within Maricopa County. She has been with Devereux Arizona for 22 years (in total), starting on the Residential Treatment Center as a Behavioral Health Tech and was a Program Coordinator from 1986-1990. She spent 10 years working for the Regional Behavioral Health Authority for Maricopa County as a Child and Adolescent Case Manager. She received several promotions that included Team Lead, Assistant Manager of the Child and Adolescent Department, Manager of the Customer Service/Grievance and Appeals Department. Diane also participated in several project management and program development task forces. All relating to access to care for kids and families while advocating for kids’ needing appropriate behavioral and mental health services. In 2000, an opportunity presented itself for Diane to return to Devereux as the Director of Human Resources, which she did for 7 years before returning to the Residential Treatment Center as the Director of Residential Programs. As the Director of Residential Services, she oversees the Residential Treatment Center in Scottsdale and Respite Services for Maricopa County. Her overall experience includes direct care, case management, customer service, grievance and appeals, staff development, employee engagement, retention, program development, and directing programs. She holds a Bachelor of Arts degree in Life Management from Edinboro University, and earned her Master of Arts in Organizational Management degree from the University of Phoenix. Diane has a strong passion working for kids and feels it is a honor working for them. Dr. Michele Bishop serves as the Director of Autism Services at Devereux Arizona. She earned her Ph.D. in psychology with an emphasis in behavior analysis from the University of Nevada, Reno, is a Board Certified Behavior Analyst Doctoral level, and a Licensed Behavior Analyst in Arizona. 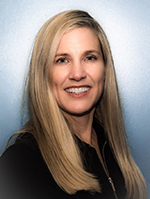 She has over 20 years of experience working with individuals with developmental disabilities, with a primary focus in the area of applied behavior analysis interventions for ASD. Dr. Bishop has held positions as a school psychologist, behavioral consultant, and associate director of the UNR Early Childhood Autism Program. For 7 years, she was a research and development manager and clinical supervisor at the Center for Autism and Related Disorders. She has given presentations at state and national conferences, and published research in the areas of staff training, motivation and preference assessments, and behavioral and skills assessments. 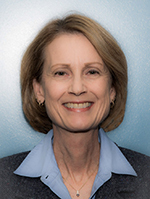 In addition, Dr. Bishop has taught graduate level courses in behavior analysis, served on the 4cABA Board of Directors for 6 years as Secretary and Treasurer, and is a member of Devereux’s National Autism Committee. 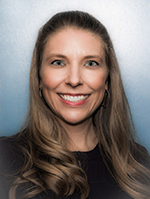 Her current professional activities involve development and oversight of Devereux Arizona’s comprehensive applied behavior analysis clinical services program, including community-based behavioral interventions for individuals with ASD; caregiver, teacher, and staff training; and treatment evaluation research. Paul Davis is a Licensed Clinical Social Worker and a Licensed Behavior Analyst, and holds a national certification as a Board Certified Behavior Analyst. Paul currently works for Devereux Arizona as the Director of Foster Care Services, responsible for all of Devereux’s foster care operations state-wide. Paul has worked for Devereux Arizona since 1998 with a focus throughout his Devereux career on foster care programming - both traditional (child welfare) and treatment/therapeutic (behavioral health). 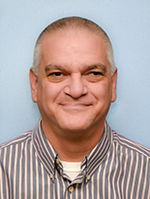 Paul has previously worked in both clinical and administrative capacities including case manager, clinician, and program administration, and has worked in settings across the behavioral health continuum ranging from shelters and group homes to residential treatment centers and psychiatric hospitals. 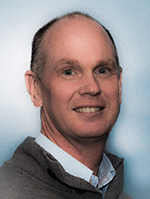 Paul has presented and co-presented at numerous conferences throughout the United States on such topics as the intersection of Positive Behavior Support and Therapeutic Foster care, clinical interventions for positive client transitions, and creating a welcoming and affirming foster care organization. Sunshine Turner M.Ed. is the Director of Brief Intervention Programs for Devereux in Arizona. She holds a Bachelor’s Degree in Family Studies from the University of Arizona and a Master’s Degree in Education from Northern Arizona University, as well as her principal certificate. Sunshine began her career in human services over 20 years ago with the State of Arizona’s Department of Developmental Disabilities providing care for children with Autism. She also spent two years working as a juvenile detention officer and then went on to teach special-education for emotionally disabled middle school students in the Tucson Unified School District. During her time with TUSD she served as both an assistant principal and principal. She continues to remain connected to the school community by serving on Sahuaro High School’s Site Council. Sunshine joined Devereux in 2013 as the Assistant Director of Residential Programs and opened an inpatient residential treatment center and short-term intensive stabilization program for youth in crisis in Pima County. In her current role as Director of Brief Intervention Programs, Sunshine oversees the day-to-day operations for a broad continuum of services statewide, ranging from in-home preservation to intensive short-term residential treatment. During her time at Devereux, she has served on several committees and is an active member of the Senior Leadership Team. Sunshine has presented at various conferences on topics such as Special Education Law, Positive Behavioral Interventions & Supports and most recently on Bridging the Gap Between Behavioral Health and Our School System. She is extremely passionate and dedicated to serving our community’s most vulnerable families and youth. As Director of Outpatient Services, Tara Pitts, MA, LAC, manages day-to-day operations for Devereux Arizona’s Phoenix Outpatient Clinic and the Devereux Adolescent Health & Wellness Clinic in Mesa. Tara holds 22 years of behavioral health experience, including 12 years of managerial experience and 12 years working in the Arizona Managed Mental Health Care system. She began her career in direct supports and management for an Arizona Division of Developmental Disabilities-funded group home. She also was a substitute teacher at Mingus Mountain Academy and then moved into case management. In addition, Tara served as a clinical coordinator at Touchstone Health Services for 10 years. During her tenure at Touchstone, she developed and successfully operated a comprehensive group therapy program across multiple sites, in high-risk schools, and in its Intensive Outpatient Program. She also facilitated numerous groups with a variety of populations, and created several research-based, outcome-based curriculums. Her expertise also includes therapy for high-needs clients suffering from trauma and a history of abuse and/or attachment disorders. In addition, Tara has managed numerous case-manager teams at the Department of Child Safety and the Jewish Family and Children’s Service. Tara earned a Bachelor of Arts in Political Science from the University of Utah and a Master of Arts in Mental Health Counseling from Argosy University. She is currently completing her MBA with a concentration in Management at Argosy University. 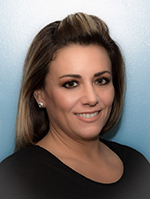 Tara is a Licensed Associate Counselor in the state of Arizona and holds the following certifications: Rational Emotive Behavior Therapy (REBT) from the Ellis Institute; and Circle of Security Parenting (COS - P) and Attachment Theory from Circle of Security International. 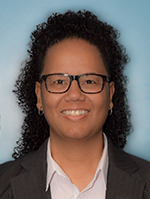 Makisha Gunty is the Director of Population Health for Devereux in Arizona focusing on Triple Aim, Integrated Care, Value-Based Purchasing and Population Health. Makisha has a Bachelor’s Degree in Human Development and Family Studies with a minor in Sociology from Indiana University. Makisha has a Masters Degree in Social Work from Arizona State University and is licensed as a LMSW. Makisha has 16 years experience working in Social Services holding several positions in Behavioral Health, Child Welfare, and Prevention programs. Makisha served as the Assistant Executive Director of Arizona Partnership for Children, LLP from 2014 - 2016. Makisha served as a Steering Committee Member of the Maricopa Family Support Alliance from 2014-2016 and has been a member of the National Association of Social Workers since 2011. Makisha is currently an Arizona State University Field Instructor providing guidance and supervision to interns at Devereux.